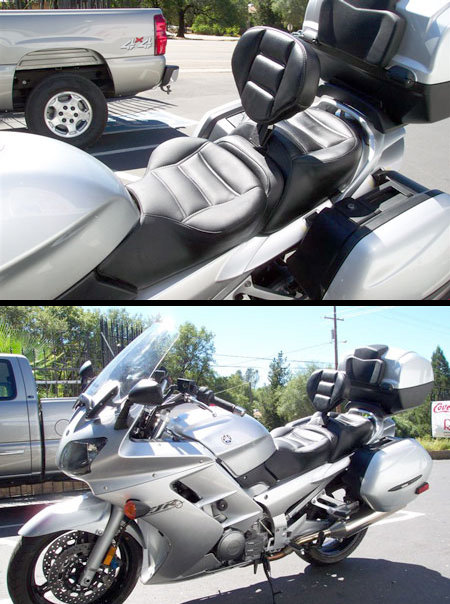 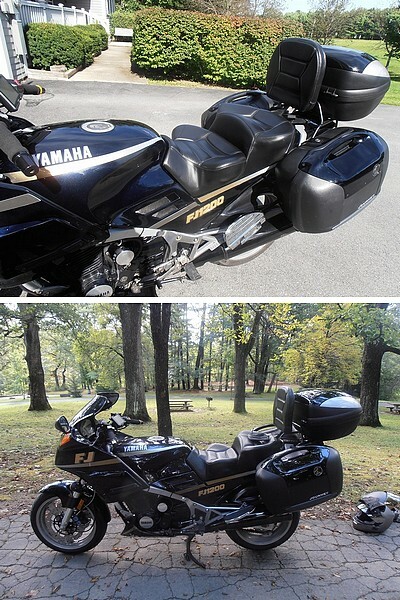 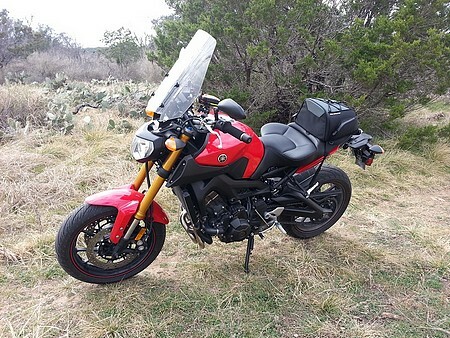 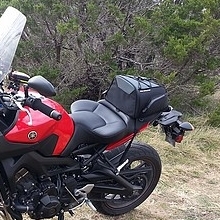 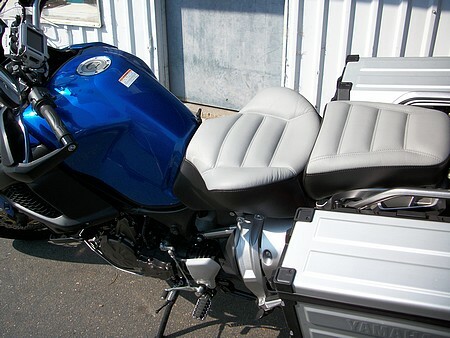 Yamaha bikes have a wide range of styles, from their classic XVS and Roadstar motorcycles to the Sport, Supersport Touring and Adventure bikes. 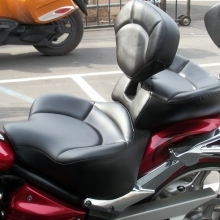 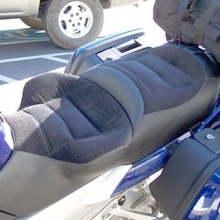 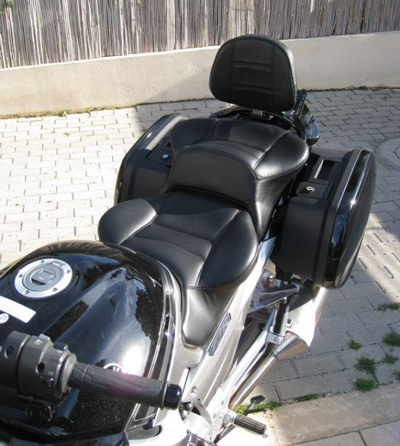 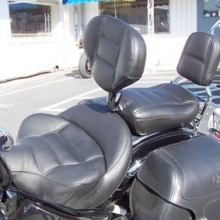 Yet often we hear that the seats start getting hard after a while and the rider’s lower back starts to hurt. 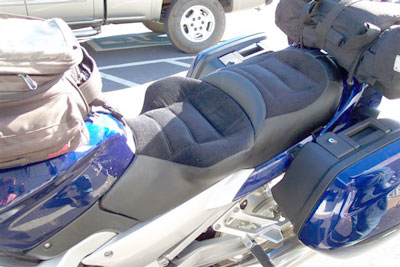 Enjoying a long ride on your bike can be difficult if you can hardly move when you get back home. 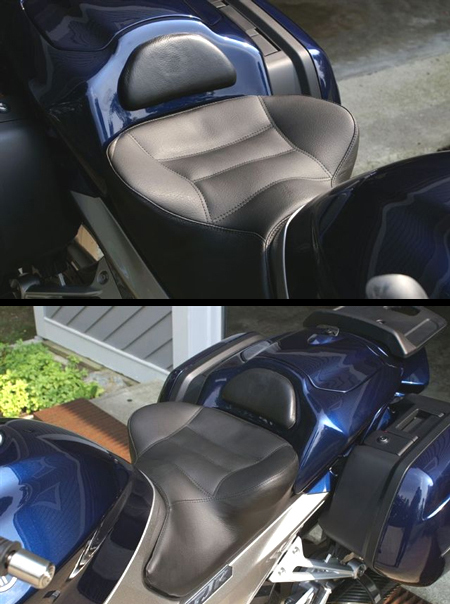 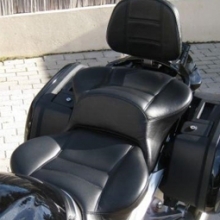 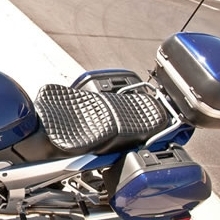 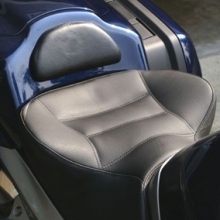 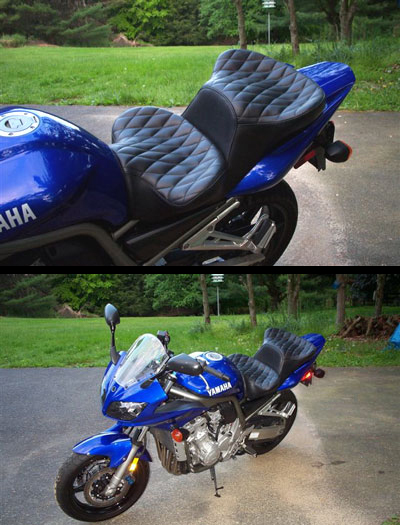 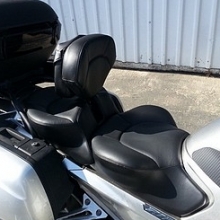 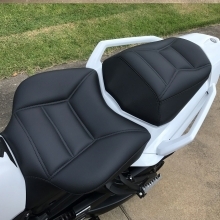 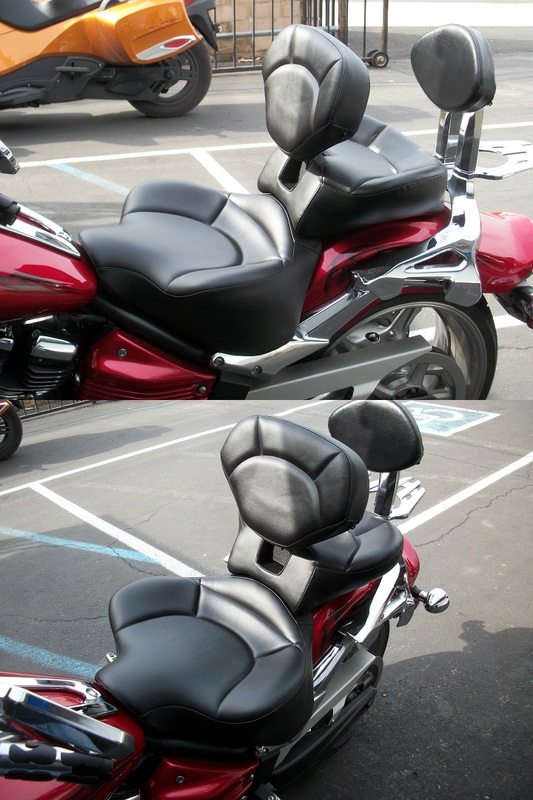 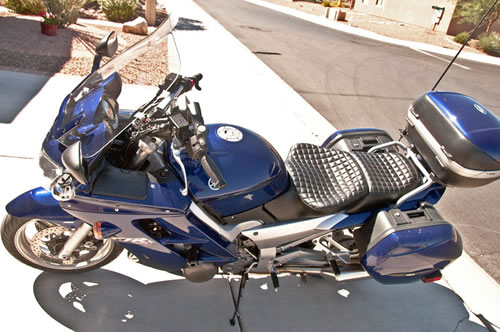 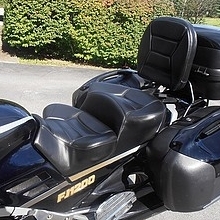 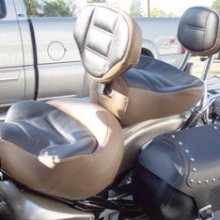 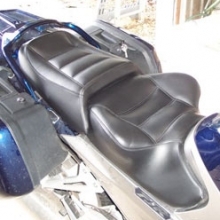 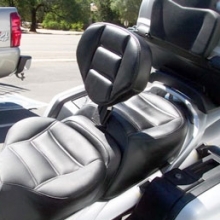 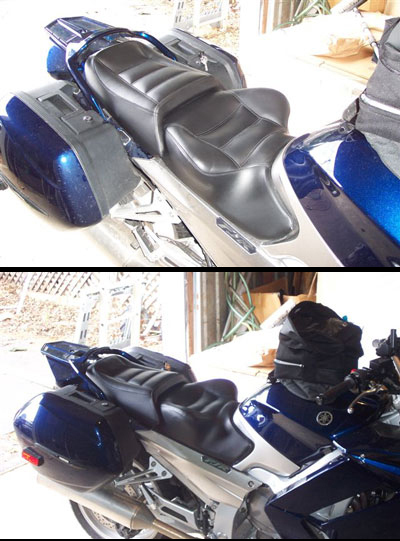 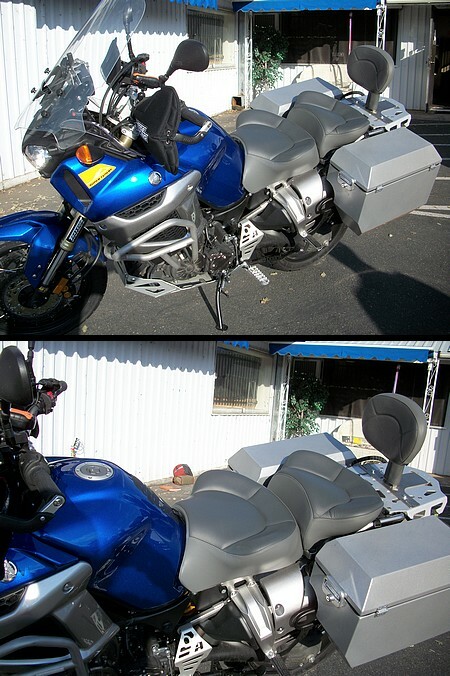 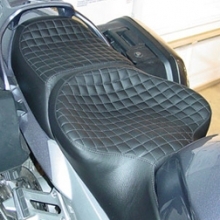 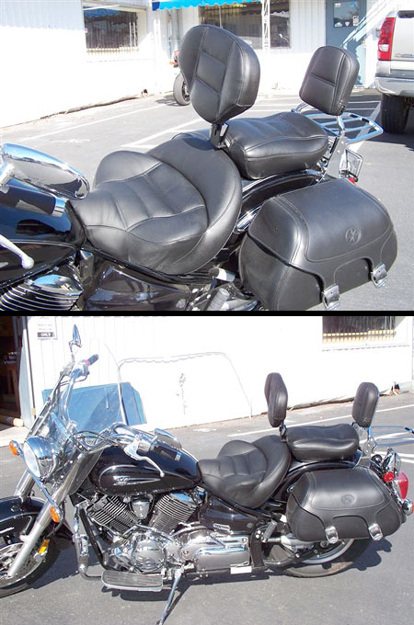 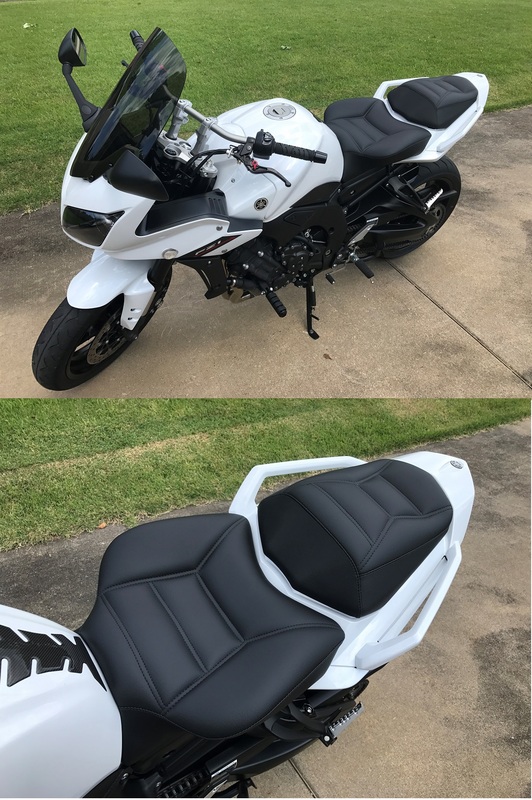 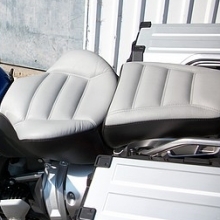 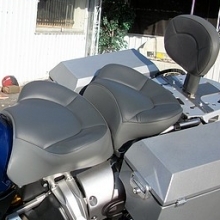 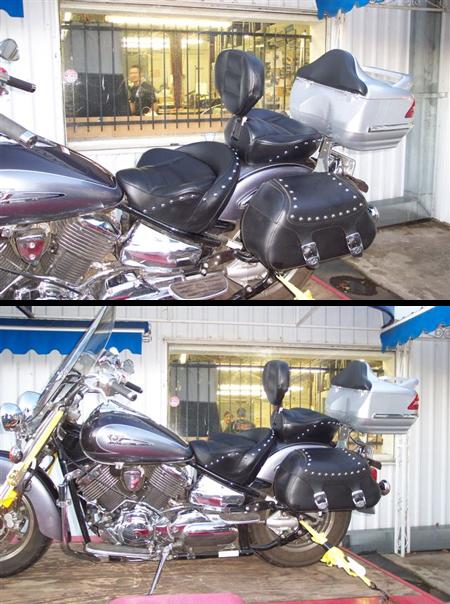 Russell Cycle Products knows how to change that with their super-comfortable, custom made seats. 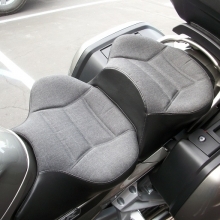 Their years of experience along with the fantastic ‘Day-Long’ suspension seat system can give your body support and comfort for those long rides. 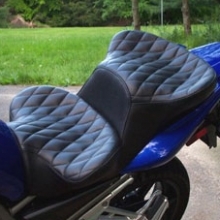 It’s easy to get a new bike seat custom made just for you. 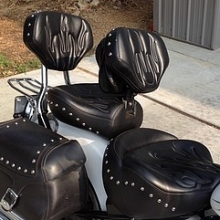 Look at some of the many examples on the gallery below. 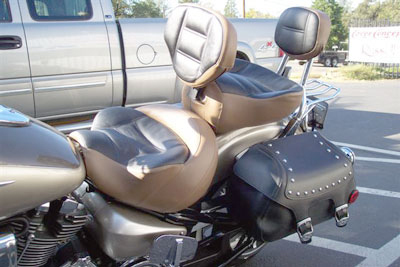 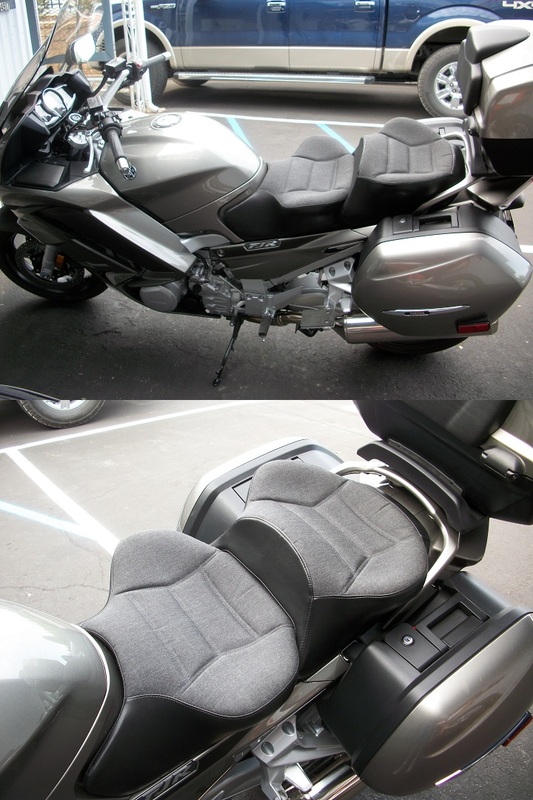 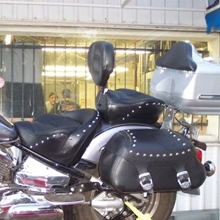 Then just fill out the order form on-line and mail your seat pan directly to Russell Cycle. 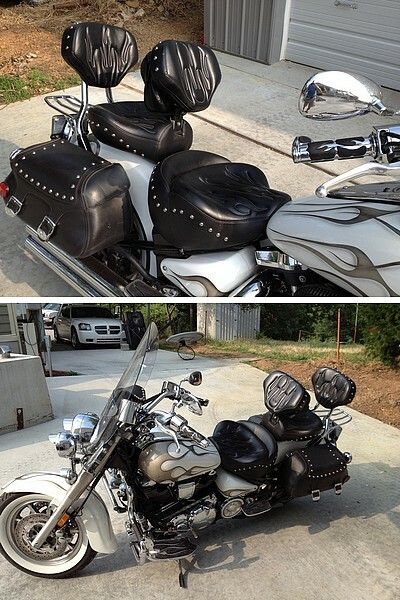 We look forward to having another happy customer!